(see my review for details). I’ve run an excerpt from the latter book (see The Characteristics of Successful Investors) and now have an extra, related treat for you all. Sarah Stanley Fallaw, co-author of the most recent book with her father, has agreed to write a guest post for us! How cool is that? Even better, she has selected a topic we don’t read much about these days, how self-reflection is related to financial independence. I enjoyed reading this and I hope you do as well. I’ll be back at the end with some thoughts. At the beginning of a New Year — or any other time-stamp in our lives like a birthday — we will often take the time to set out goals for our future selves. Sometimes we give these goals grand titles like “resolutions.” We might even write them down and share them with friends and family. And when we do establish these goals, we believe we have every intention of doing what it takes to achieve them. Some goals are harder to reach than others, and these resolution-type targets often involve significant change to our daily habits and indeed our very lifestyle. Changing previously hardwired behaviors and creating a new lifestyle that is different than what our peers and community expect from us will make achieving the goal more challenging. So, what might you do? You’ll announce to your friends and family that you’re on the FI/RE path: you start following blogs and leaders in the field, you announce to your friends and family your intentions to retire by age 38, and you list out goals for yourself. For the first few days, and maybe few weeks, you are excited and diligent. But after the initial rush of excitement, that 30 minutes a day you planned on focusing on finances starts eroding, little by little, with the bustle of your other responsibilities and priorities. One morning you have a dentist appointment. You think you’ll get that time in in the evening. But then you have soccer practice carpool duty. You tell yourself that next week it will be different. You tried sticking to a budget and for maybe a month it worked out fine. But by month two, you’re back to spending just at your means or a little above. This might not describe your approach, but for many of us, this is what happens with most large-scale lifestyle and behavioral goals. Why? What it takes from a behavioral approach is clear. That is, the critical set of behaviors, including living below your means, are clearly defined. In its simplest form, this means spending less than you earn and saving the rest. Amassing wealth — however you define it — by consistent prudence in your financial life. It may mean being frugal more or less all the time, not just during the non-holiday weeks. Achieving this goal requires consistent financial behavior change, change that to many in your peer group will look downright strange. So, why can’t we all achieve this relatively clear goal? While your path to financial independence is well-lit, what trips us up, what pulls us off this path, is a bit murkier. So, before you put pen to paper (or, before you start trying to achieve those goals and resolutions), consider identifying hurdles to success and taking inventory of your own financial strengths and weaknesses. Take more than just a few minutes to think about a) the pitfalls you need to avoid staying on track, and b) how you, you with your unique characteristics and strengths and weaknesses, are going to meet those all-so-important financial goals, and what might keep you from them. Making a firm commitment to live below your means might include a wholesale and complete change in your lifestyle. To decide about what you’re willing to commit to, learn what it takes to build wealth — not from someone trying to sell you a program (or a book!) but instead from people who have done it. Read a few case studies, both positive and negative, about what the lifestyle is like. Talk to people who have achieved this goal, and those who are struggling to reach it. Rarely are you going to hear something along the lines of “It was super easy, and we never had any problems and our marriage was always smooth sailing and the kids never asked for things that were outside our budget…” (If you do, ignore them.) Instead, you’ll find stories of achievement, but also of choices, sacrifices, and pitfalls. And consider that this lifestyle, while suitable for building wealth, isn’t suitable for everyone. It often requires saying no to things you might have been able to do in the past, and therefore making thoughtful decisions about consumer purchases and experiences with peers. Many of us grew up hearing in the media and through our culture that you can have it all. That’s an unrealistic expectation. And the frequent outcome is that we feel frustrated when we discover it’s a myth. So, are you willing to occasionally “miss out” on the things your peers are buying or doing (a short-term cost) in order to achieve your (long-term) financial goals in the future? Many of us are not. Be realistic about this up front. , over 80% of millionaires stated that having a supportive spouse was one of the critical factors in their success: how will you ensure your household team is on the independence path with you? Your friends and other family members haven’t changed their own consumer behaviors. They will still expect you to do the same. How will you manage these expectations and stay on your own path? Your living expense and lifestyle will be altered (in many cases, significantly so). Think about the last time you had a significant change in your lifestyle that involved less spending. Did you adapt easily? Or, did you find yourself longing for your old life? How will you manage these required changes in the future? Identifying the hurdles and challenges allows us to avoid them or prepare to deal with them as we embark on any new goal. Understanding the potential challenges of reaching financial independence is critical. But what is also required is understanding how our own sets of attitudes, values, personality, and patterns of life experiences will either help or hinder us from reaching our goals. , as well as our research at DataPoints, demonstrates that a consistent pattern of frugality, confidence in financial decisions, the ability to remain focused, and consistent skill at ignoring what others are driving, buying, and wearing. There are clear characteristics of successful household CFOs. Imagine you’re hiring yourself to manage your financial life and consider a series of questions that would help you identify how you might perform in this role. How would you describe your lifestyle today? Do you/members of your household consistently spend below your means? Do you have the confidence to say no, either literally or figuratively, to all the asks you’ll continue to receive for financial contributions? Remember, even if you’ve set a goal, those around you haven’t necessarily changed their behaviors. Can you withstand social and media pressure that might derail you from a certain lifestyle? How would you rate your ability to meet challenging goals? To really meet them and not just in part: when you set a goal, does anything stop you from meeting it? What part of your social network is going to help you meet your goals? What part is going to make it more challenging to reach them? If you “successfully” answered those questions, congratulations! You may be well suited to a lifestyle that can lead to early financial independence. If not, and many of us aren’t, luckily, we can do something about it. But we’ll need to avoid a few mindset pitfalls first. 1. People can’t change. I can’t change. These wealth factors, behavioral characteristics that are related to net worth, can be improved. It’s possible to become more frugal over time. 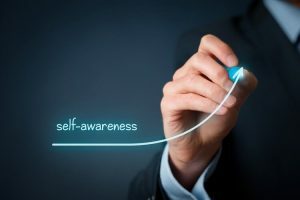 You can increase confidence in financial matters through building knowledge and having some small successes along the path to financial independence. Thankfully, behaviors can change. But your chances for achieving change turn upon your openness and your ability to stick with a plan once you have committed to it. This is (again) where our attitudes and personality come in: our mindset has a lot to do with whether we’re going to be able to successfully make and stick to changes in our financial lives. One of the key predictors of adopting new types of behaviors is self-efficacy, or the belief in your ability to do or accomplish something. Look at how you typically react to and approach change. The last time you had to change a habit or adapt to a new procedure at work or at home, how did you react? Did the idea of doing things a different way give you something to look forward to, or were you frustrated by it? Are you still frustrated by it? Did you adapt to the change easily, or were you pushed into it? Understanding your patterns of reactions and behaviors related to change can prepare you for the emotional and psychological side of implementing new ways of spending, saving, and investing. Knowing that change can be challenging for you might suggest making smaller changes over time, instead of renovating your entire financial life all at once. 2. This lifestyle doesn’t look like others around me. There’s no denying the influence of our environment our behaviors and choices. This is especially true when it comes to our lifestyle. Accept this: pursuing a path of financial independence if it’s unusual or stands out in your community, your neighborhood, or your circle of friends, is going to be more challenging. Based on your financial goals, you may not be able to contribute to every ask from your children’s school . . . even though everyone else does (or says they do). It’s much more challenging to live a conservative fiscal lifestyle when you’re surrounded every day by others who spend with abandon, whether they can afford it. Be thoughtful about how your social circle and neighborhood are influencing how you consume today. Our research demonstrates that individuals who can ignore the consumer behaviors of others have a much greater chance of ultimately being financially successful. But, but for those of us who do take notice of what our peers and neighbors are buying, being surrounded by others who have a frugal lifestyle makes it easier to have one ourselves. Understanding how your social networks influence your lifestyle choices takes some amount of self-reflection. Thinking about why you live where you live today and why you made your latest consumer choices might help you pinpoint where you’re being persuaded by your environment. It’s easy enough to get caught up in the thrill of setting goals. They feel new and clean and achievable. And if you’re focused on early financial independence, you have a ready-made community that may be headed in the same direction as you. But understand that you, with your unique characteristics and lifestyle and family situation, will achieve this goal (or not) in your own unique way, and that requires some amount of critical thought on the front end. Self-reflection is one of those touchy-feely phrases that you might gloss over as you begin pursuing your goals this year, but it’s one that is important to ensuring you can stick with a plan. Especially when your goals involve something as emotionally laden as finance and money, self-reflection is critical before putting a stake in the ground to mark where you are going. Identifying hurdles, understanding your own unique characteristics, and avoiding two potentially challenging mindsets around change are a good start. The time you spend on the front end in self-discovery can ensure you have a more-than-decent chance at achieving them. I love resolutions and have used them for many years to accomplish major life goals. To be successful with them you need to really understand what you want and what you think you can live with to accomplish your goals. The best resolution in the world is useless if you have no intention (or ability) of keeping it. Two ideas to find the time to work on your finances: Ten Ways to Find Time for Your Side Hustle (the ideas here generate time for any activity) and Can Getting Up Early Make You Wealthy? She lists several qualities needed to achieve FI. Here’s my list of the vital characteristics needed. As for learning from others what it takes to become wealthy, this is one of the main reasons I interview millionaires — so we can all learn from them. They are successful at building wealth, so listening to their stories and advice seems like a good idea, right? Spouse support is vital in achieving any goal. In finances, you’ll see this mentioned frequently by the wealthy. I often say that I was great at offense (making money) and my wife was great at defense (saving money) so together we were tough to beat. It struck me how financial success comes back again and again to controlling your spending. That said, you don’t have to pinch every single penny. You still have to enjoy your life along the way. This is why I am an advocate for moderate and selective frugality. Oh, and making a good income helps you spend on things you enjoy while saving at the same time. as well. The millionaires KNEW they would be successful before they achieved their goals. Reading this made me think of the old adage “you become who you hang out with.” Hang out with the Joneses and you become them (and try to keep up with them.) But if you surround yourself with the right people, hitting your goals is much easier. What are your key takeaways from this post? I’ve learned when it comes to teaching others about money, that the “how” matters infinitely less than the “why.” The first job to help people is to let them realize what the sacrifice is for and whether that goal is worth it to stick to the plan. I usually recommend the Three Kinder questions to achieve this goal. It can also help get a spouse on the same financial page even if they care nothing about personal finance, which as was discussed in this post is key to success. Because of things like mirroring and brain coupling, we need to be acutely aware of who we hang out with. Fortunately, our best friends are frugal and financially minded, too. So, when we waited two years after finishing training to buy a home, they didn’t feel all too pressured to do the same. They are on a slightly different time line and we understood that they needed to pay down their student loans first before doing the same in order to get to their goals. Self-reflection is key. Really enjoyed this post. Thanks, Sarah! The key to success with any change, be it diet, exercise, or finance, touches on behavioral psychology. We tend to be a product of our upbringing and social circles. If our parents were bad at finances or healthy eating, they tend to pass those traits to the next generation. Every now and then you do have children that realize that this was a bad example and see the direct results of it and rise above it, but it is usually the exception, not the norm. It helps to have everyone on board on whatever transformation you are trying to accomplish. Eating healthy is infinitely harder when everyone else in the household is eating junk food around you. The same rule applies with finances. That is why it is important to have your partner on the same financial page as that will help give you the best chance to succeed. Thanks for this interview. It does take reflection and adjusting for spouses to get on the same page sometimes. I have had to teach my husband the “joy of saving” as that was not something he was raised to do. Over time he has come around and at the same time taught me about enjoying ourselves along the way. Our FI goal won’t be reached as quickly as others will, but we are building toward it. A very happy positive after early marriage years in the negative. As I’ve hired people and then watched what I got right and wrong over the years, I’ve come to believe that the ability to self-reflect honestly and often combined with a belief in the ability to change (both self and others) are key indicators. I can fill in skill or knowledge gaps, but have had limited success instilling those. Keys to success in work and wealth! Moderate and selective frugality. Love that ESI! It’s pretty obvious that you can’t build wealth without spending less that you make. Life is a complicated and delicate balance for sure. How do we get the most out of our time on this planet? I’ll admit I struggle with being frugal. It’s a constant battle. Do I buy the Porsche or invest that money? Do I got all out on a carribean vacation or do something more modest? That’s why I enjoy this website- to get different perspectives. Great thoughts on a tough subject. There are two keywords that keep me on track toward my goals: persistence and progress. There are many sayings about persistence being the key to success, but it doesn’t help to keep beating your head against the wall. I like to couple persistence with the idea that you have to make continual progress toward your goals, even if it’s just baby steps. When you focus your efforts on making progress, and don’t give up, you’re bound to succeed. Nice summary of the core skills and behaviors required to build wealth. I rather like the phrase “convert income to wealth” because that is exactly what we’re mostly talking about and the most certain way for most people to achieve prosperity and reach FI. I am once again reminded why I’m so glad I recently found ESI because our philosophies are so similar, and its actually hard to find blogs that are (1) written by folks who’ve actually been there and done that the old-fashioned way, and (2) who not only address how to get there, but also address (3) what to do when you get there and (4) how to stay there. I especially love that the EARN aspect of the equation receives strong focus on ESI (though not really addressed in this post). The “moderate and selective frugality” also resonated with me too! I struggle daily with that one. Living in a big city and being surrounded by some very flush neighbors and colleagues has its advantages (my wealth doesn’t seem all that exceptional) and disadvantages (keeping up with the Jones could easily result in bankruptcy). I confess – I am not immune to attraction to all the lifestyles of the rich & famous accoutrements. I ogle impressively fast & fancy cars, and gaze wistfully at swanky yachts and big estates. That’s the (literally) poor little boy in me abundantly aware I was at the low end of the economic scale and wishing I were born into better circumstances. That lifestyle – the one I saw on TV and passing through the nice neighborhoods – was the only concept I had of what wealth meant. But, the 50-something adult man now knows the truth of all that. He has experienced and seen and even owned some of it, enough to understand that this is not where true happiness, satisfaction, security, and contentment are found. He’s been on the yachts and hitched rides on the private jets and visited the estates, and test driven the fast & fancy cars, and done the crazy vacations. And yes, it is all very nice. But there is a steep price. That’s where the self-reflection really comes in handy. It’s great to now have a very clear idea of exactly what price I’m willing to pay, and when enough is enough. “Moderate and selective frugality” means understanding the true price of the things we spend money on vs the enjoyment and satisfaction they bring. And that is a key part of having contentment. The path to and maintaining FI is pretty basic and easy to understand. The ESI protocol works as well as others. Just like leading a healthy lifestyle can be as simple as a eating a healthy diet, getting some exercise and getting sufficient sleep. With both, success is attributed to discipline/commitment over a long period of time. The basic path to FI and healthy living is pretty simple, yet there are tons of books, blogs, etc on both topics and have been for decades. It’s really mind boggling to me. There are tons of techniques, tips and ideas out there to guide folks to FI. The big hurdle is finding sufficient motivators to consistently keep folks on track. One additional motivator I have is my kids. As parents, you teach not by what you say but by what you do. Your kids copy your actions, good and bad. I’ve said it in a past post comment that kids who grow up in households who have a constant, living example of a person on the road to FI (or already reached) have a significant advantage over those that don’t. Although there are no guarantees that kids will follow these good examples as other commentators have pointed out, this shouldn’t stop your motivation to try.